CK Telecom gives you the most complete solution for telecom industry. We're building a worldwide network to deliver premium-quality services to our customers Businesses and consumers have too many disparate communication services and hopelessly scattered contacts. 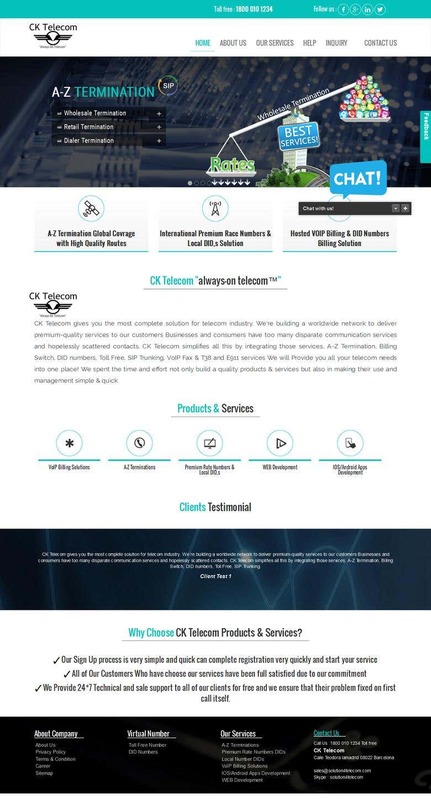 CK Telecom simplifies all this by integrating those services, A-Z Termination, Billing Switch, DID numbers, Toll Free, SIP Trunking, VoIP Fax & T38 and E911 services We will Provide you all your telecom needs into one place! We spent the time and effort not only build a quality products & services but also in making their use and management simple & quick.